Cashing in on the Sales! Are You Sick & Tired of ... Wondering where to get leads to contact? Chasing after prospects? Emailing people? Do you need HOT Leads but don't know how to start? Grab Your Phone Broadcasting Membership and Watch Your Sales Soar Out of Control Using Tools Just Like the "Big Boys"! Do These Statements Sound Familiar To You? You have tried many things and they just don’t seem to work. The company doesn’t really provide the tools you need to create sales. You are putting forth an honest effort to grow your business but are not reaping the rewards. In fact…you’re not reaping any rewards. You are just going further and further into the hole. You have spent a fortune on leads, auto-responders, email blasts, bulk mail, post cards, and lead brokers. They just don’t work. You wish that you knew the “tricks of the trade” and how some people seem to make all of the sales. You honestly don’t believe the gurus in the industry are successful because they have called all of their family and friends. What are they doing EXACTLY to be the “top dogs” in their business? "As an online network marketer for several years, I'm always looking for "the next generation tool" a system to bring to my teams so they too can bring in new team members or at best qualified traffic to their sites. Phone Broadcasting, until now, has always been too expensive for the majority of us and I had hoped one day someone would find a way to make it affordable to the masses in Network Marketing. 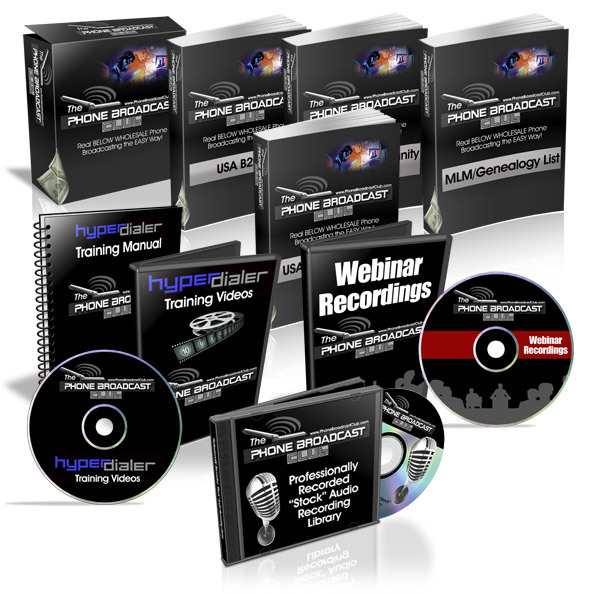 This is the same exact system for only $100 as the IbuzzPro $500 and Phone Power $2000 programs that's been popular for phone broadcasting the last 2 years.. The learning curve in those high price programs makes most drop out (me included.) 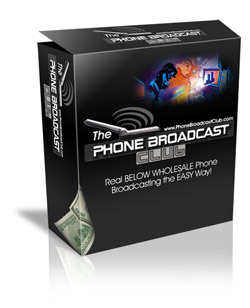 Phone Broadcast Club is simple and easy to use and admin helps you when you need anything. I use it daily and talk to great prospects ALL the time that sign up in my business. Once again, this gentleman Peter Wolfing, brings us what we need and can afford. Kudos Peter! You da man!" Premium leads also available at below wholesale. Professional quality pre-recorded outgoing messages. This is the New Way to do Business! It's the Wave of the Future – everyone has a telephone! Our system will help you get more people to talk to...FAST! It's affordable, VERY easy to use and gets results in minutes. It's incredible. Press send ... that's it! You sit back and your phone rings with hot prospects wanting to know more about what you're promoting! We also included for free the entire country Business To Business (B2B) list. 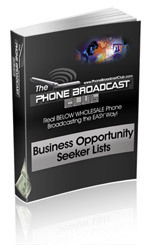 We also included for free business opportunity seeker lists. We also included for free tons of MLM genealogy lists. We also included for free the entire country Residential list divided by state. 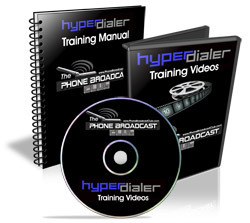 We also have a predictive dialer called HyperDialer. We have complete training and manuals for all our services. 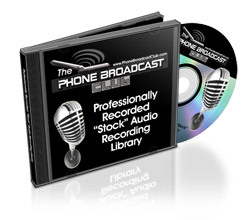 We have dozens of pre-recorded messages that you can plug into. as much as 15-20 cents per call! Now You Too Can Make Calls for Only 1 Cents* with our Phone Broadcast Service! We purchase HUGE QUANTITIES of minutes in advance so we can get the lowest rates for our members. We pass the savings on to you! Can you handle an UNSTOPPABLE FRENZY of "HOT" & "READY" visitors landing on your website, going to your voice mail or speaking to you directly? 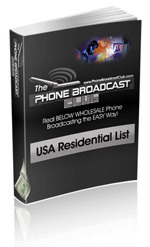 This is the Ultimate Phone Broadcasting System... but it's also so much more! There's absolutely nothing out there that comes close to our technology! I made so many sales that I became a true believer. Great job!! WOW. what a system. It's worth 10 times the money I paid. I am going to tell everyone. Our Membership offers you a SIMPLE, turn-key system that anyone can do on any budget! and the use of our calling platform without having to spend $10,000 or more up front! Month to month membership. No contracts! Get access to wholesale pricing on phone broadcast time at 1 cents per call *based on a 30 second call. Premium business opportunity survey leads available at only 2 cents each and are doubled FREE! That makes the net cost to you only 1 cent each. We also keep giving them to you for free until you meet your calling total. Make $100 (Basic Level) to $500 (Pro Level) per sale. You keep 100% of every sale as per the reverse 2 Up compensation plan. You virtually break even on the first sale! The first and third sale goes to you! The 2nd and fourth goes to your sponsor. Every sale after that goes to you. Once you have referred two sales, you are qualified for life. Unlimited expansion. Then the fun begins. Those members that are now direct to you, do the same giving their second and fourth sales. This process happens over and over. Duplication is key. Once qualified, you keep 100% of all sales you make PLUS you get the second and fourth sale of all those they refer. The income potential is unlimited! - $24.95 a month for site maintenance, support etc. Thousands More Dollars in Value! "Trust me I really do appreciate all that you do, you are amazing . I guarantee this company will help many people to be successful in marketing their businesses, and the reason is simply because of the great personal service that you provide, it's definitely onward and upward for this company. It flat out works guys, it's that simple ok..."
Think about this, for a measly few bucks a month you can get access to the tool and pricing that most have to pay $20,000 and more to obtain. You will be on your way to making tons more money in your business and more leads than you can handle. 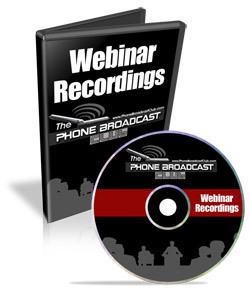 You are minutes away from being able to have the wheels rolling on your own incredibly profitable business using Phone Broadcast Club. Don't you owe it to yourself to Join 'Phone Broadcast Club' today? Disclaimer: The income examples on this web site are not intended to represent or guarantee that everyone will achieve the same results. Each individual's success will be determined by his or her desire, dedication, background, effort and motivation to work. There is no guarantee you will duplicate the results stated here. You recognize any business endeavor has inherent risk for loss of capital.